When disasters and emergencies break across our lives, either nationally or here at home, the Red Cross steps out of the shadows to help. 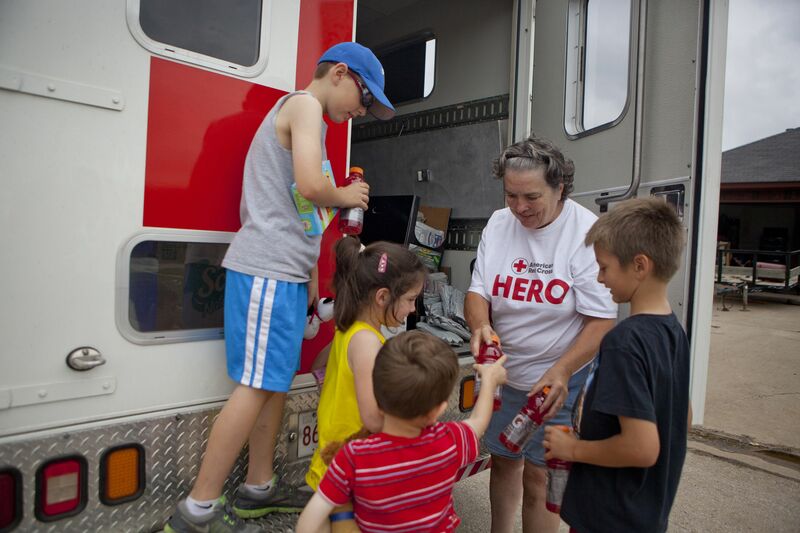 We work all year to prepare our neighbors to assist in times of need—when fires consume homes, heart attacks stop pulses, military families experience crises, our volunteers bring hope, give help and save lives. We take care of families after disasters destroy their homes–a vital role that nobody else plays. Ready 24/7, we are first responders, providing money for food, clothing, shelter and other immediate needs so no one ends up homeless. All volunteers are trained, and emergency shelter agreements are in place in case of multiple family disasters. We help people process tragedies in their moment of greatest vulnerability. Were the Red Cross not there, many shocked and grieving families could also face sudden homelessness. We receive no government funding; 92 cents of every dollar donated goes to providing humanitarian services. And 95 percent of all work is done by trained volunteers. We are always looking for people to get training needed to assist effectively with disasters locally and/or nationally. We always need disaster responder supplies.